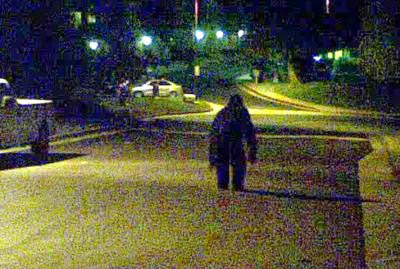 Baby Bigfoot or just a guy in a gorilla suit? Whatever it is, folks over at the Anaheim Hills Buzz Facebook group are going ape trying to decipher the mysterious video shot in a quiet neighborhood shortly after 1 a.m. Sunday. As of Thursday morning, more than 100 Buzzers had posted comments on Facebook speculating about the footage. Brian Ogawa provided a copy of the video to the Register and explained how it was shot by his friend, who has asked to remain anonymous. "The purpose of the video was to record the coyotes coming into the community," he said. "We have been having a lot of them coming in, and he was recording them using a game camera inside his car. The camera was on, facing west of Brightstar on the corner of Sundance in Anaheim Hills. We have no idea what is it, and both of us are getting a kick out of it and what kind of 'buzz' its making." BRIGANTINE, N.J. (CBS) – An eight-month-old seal being cared for at the Marine Mammal Stranding Center in Brigantine leaves Sunday for its new home at a zoo in Michigan. “If people hadn’t interfered she would have a life in the wild like she is supposed to have,” says Bob Schoelkopf, director of the center. He says the seal, who has been in the organization’s care before, was taken off a South Jersey beach for the last time in September after a child pet it — signaling to officials that the mammal has become accustomed to humans. Never underestimate the healing power of a good nap. A 91-year-old woman in Poland was declared dead November 6 and sent to a funeral home, only to wake up 11 hours later in cold storage, CNN's Polish affiliate TVN reported. Now she's home and doing fine. The doctor went to the home of Janina Kolkiewicz in the town of Ostrow Lubelski on November 6 after her family said she'd stopped breathing, TVN reported. "I checked the pulse on the forearm artery, carotid artery also," the doctor told TVN. "I listened to the heart, to the breathing. I also examined the pupils. There were no reflexes. Typical symptoms of death." The doctor signed the death certificate, and Kolkiewicz's family began planning services, according to TVN. Then the funeral home called. Authorities are trying to find out what happened. Landon Jones is a 12-year-old boy with a very unusual condition: He never gets hungry or thirsty. The boy, of Cedar Falls, Iowa, noticed something was wrong when he woke up on Oct. 14, 2013, feeling dizzy and suffering from chest congestion. A chest X-ray later showed he had a bacterial infection in his left lung, which later healed. But ever since that day, according to The Des Moines Register, Landon has had no desire to eat or drink, even though he can still taste and smell normally. Landon's weight has dropped from 104 lbs. (47 kilograms) to a mere 68.4 lbs. (31 kg), and his parents say they have to constantly remind him to eat and drink. The boy has had medical tests and doctor's appointments in five cities, in attempts to find the cause of his bizarre condition. He has undergone a spinal tap, brain scans, abdominal imaging, and nutritional and psychiatric evaluations, but doctors have been unable to diagnose the problem. "This is exceedingly unusual. I've never heard of a case like this," said Dr. Ashesh Mehta, director of epilepsy surgery at the North Shore-LIJ Comprehensive Epilepsy Care Center in Great Neck, New York, who was not involved in the boy's treatment. Hunger and thirst are part of a larger circuit controlled at many different levels in the brain, Mehta told Live Science. A problem anywhere along this circuit could cause Landon's symptoms, he said. Dr. Marc Patterson, a pediatric neurologist at the Mayo Clinic in Rochester, Minnesota, who has been treating Landon, told the Register that there may be a problem with Landon's hypothalamus, a small, pea-size region at the base of the brain that controls hunger, thirst, body temperature, sleep and other vital functions. It could be that the bacteria that infected Landon's lung crossed the blood-brain barrier — the selectively permeable membrane that separates the body's circulatory system from the brain — and affected his hypothalamus. An infection or lesion of this brain area could explain why Landon feels neither hunger nor thirst, doctors say. "It makes sense that the two go hand in hand, because hunger and thirst are both controlled by the hypothalamus," said Dr. Caroline Messer, an endocrinologist at Lenox Hill Hospital in New York City. But another possibility is that Landon has developed a resistance to the hormone ghrelin, which stimulates hunger, or now has an overproduction of the hormone leptin, which causes feelings of satiety. But these would explain only the loss of appetite, not the lack of thirst, Messer told Live Science. Even though Landon's parents constantly remind him to eat, he is still losing weight, the Register reported. If he can't ingest enough calories by eating, doctors said they may have to install a feeding tube. But such tubes are prone to infection, and carry a high risk of complications, Messer said. Instead, Landon might benefit from a drug called megestrol acetate (brand name Megace), an appetite stimulant often given to cancer and AIDS patients, she said. Landon's inability to feel thirst could also upset his body's electrolyte balance, and his sodium levels could become too high if not monitored, Messer said. Landon's case may be the only one like it in the world, his doctor told The Register. His family has contacted a division of the National Institutes of Health that evaluates and treats patients with rare, undiagnosed diseases. The program invites only 50 to 100 patients to its Bethesda, Maryland, campus each year to be evaluated by a team of specialists, according to CBS News, and Landon hopes to be one of them. Our next guest on Arcane Radio will be our friend and colleague Sharon Day. We will announce when the podcast is live...most likely Monday evening. Thanks for listening! Why Isn’t Earth Overrun With Giant Monsters?